Almost Unschoolers: A Planetary Conundrum - Space Themed Stories and a Pluto Sized Snack. A Planetary Conundrum - Space Themed Stories and a Pluto Sized Snack. 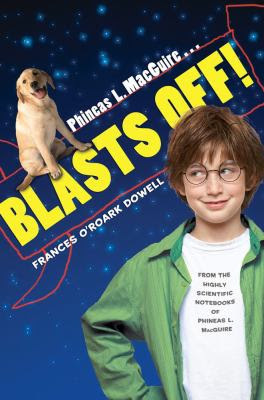 ...I was happy to see the next book from Frances O'Roark Dowell's "Highly Scientific Notebooks of Phineas L. MacGuire" deals with outer space. Except, as it turns out, even though getting to space camp is at the center of the story, and there are Mars themed experiments at the back of the book, a large portion of the book deals with dog slobber, and some sticky, pseudo-science experiments, as the main characters try to settle, once and for all, the age old question of whether a dog's saliva is cleaner than a person's - yuck! It's still a good story, just don't read it out loud over breakfast. Strangely enough, we found more scientific information about the solar system in one of Megan Mcdonald's Stink books. In fact, Stink, Solar System Superhero is so filled with solar system factoids, that turned out to be almost too busy, and stilted for the younger children to enjoy. 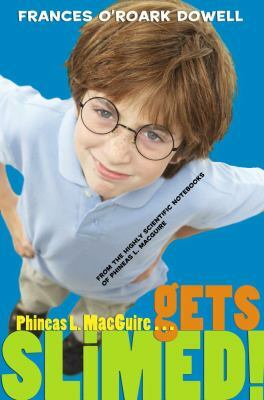 The fact the story takes place in a second grade classroom, caused the older children to reject it as a baby book, too. Add to that some rude language, and name calling between the characters, and this was not my favorite book of the week, either. But, thanks to Megan McDonald, I don't think any of us will forget "My Very Excellent Mother Just Served Us Nine Pizzas" as a mnemonic for remembering Mercury, Venus, Earth, Mars, Jupiter, Saturn, Uranus, Neptune, and Pluto - or the fact that there are no "Pizzas", due to the scientific community's downgrading Pluto to dwarf planet status. A fact, which Stink objects to almost as strongly as we (or rather, I) did to the loss of the Brontosaurus. 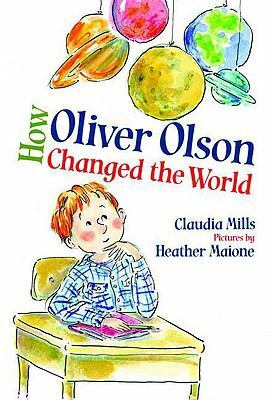 How Oliver Olson Changed the World by Claudia Mills also deals with an elementary school debate over the downgrading of Pluto, this time in a third grade classroom, which the older children found slightly less objectionable. They also enjoyed the fact, that a secondary theme of the book is about Oliver finding his own voice, and doing things for himself, and his loving, but over domineering, parents learning how to let go, and let him stand on his own (at least a little). As far as Pluto's plight as a planet, we're not sure what to think. In part we can see the point of the scientific community - it is small, with an irregular orbit, and doesn't dominate it's space - so maybe it's not a planet. On the other, we (probably meaning, I) really don't like change, and letting go of Pluto as planet is change on a galactic level. That's really big change. Of course, just like the with the Brontosaurus, changing its name, or in this case, its classification doesn't really change Pluto at all. It's still the same tiny piece of distant rock and ice, it has always been. And, in the end, since it doesn't seem to be up to us, what to call it, we did what we always do, and made it a cookie - a sugar cookie, using a half batch of our normal dough (click here for the recipe), with a tablespoon of baker's cocoa swirled in, to give us that dirty ice, and rock, kind of look. ...to stick two together, for completed planets...or dwarf planets...maybe planetoids? Well, anyway - Yum! Be sure to check out this week's What My Child is Reading link-up, hosted by Mouse Grows, Mouse Learns, for more children's book reviews and recommendations. I agree, it's rather silly and I felt the same way about brontosaurus. Of course, now it makes for great t-shirts like, "When I was your age Pluto was a planet!" Pluto never looked so yummy! You had a lot of fun with space books. Anna is very fascinated with Pluto conundrum and talks about it often. Thanks for joining WMCIR! I did not know why they changed the Brontosaurus' name until I read that a scientist had mistakenly mixed up another dinosaur part and attached them together! So, there is no Brontosaurus, just an Apatosaurus with a wrong body part! If it makes you feel any better, a lot of the scientists were in favour of keeping it a planet too. Gotta love a good scientific argument! The books look great - will have to go in search of!